In search of sunshine on a rainy afternoon, this yellow flower became the perfect model to paint. 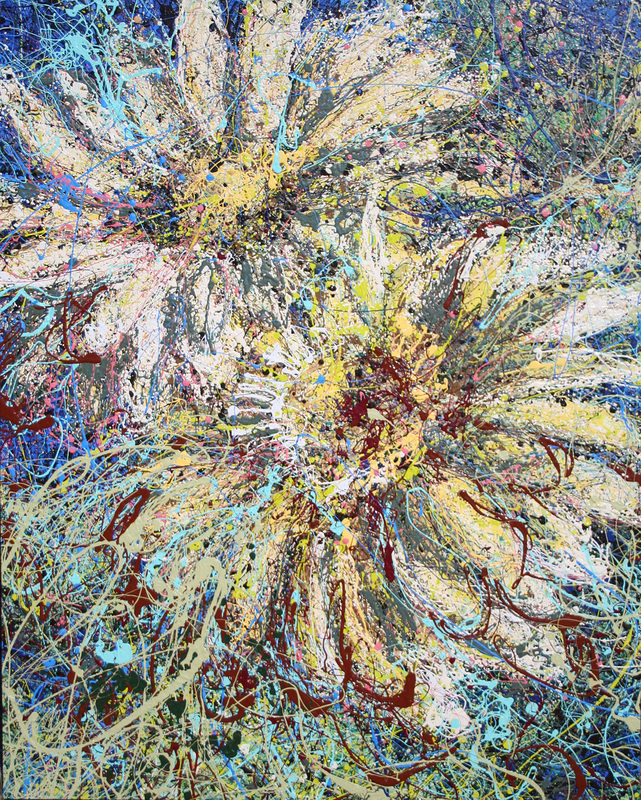 Painting style is an evolution combining Impressionist painters “Spirit of Place” and Contemporary applications like Jackson Pollock's "Targeted' paint technique. Layers of color create visual and tactile dimension. The image can be viewed as representational or abstract depending on the viewers’ distance from the painting. At first glance, the style is loose and whimsical, yet the painting yields detail and depth.